A digger has been damaged in an arson attack at the weekend in Milltown close to the village of Maghery. 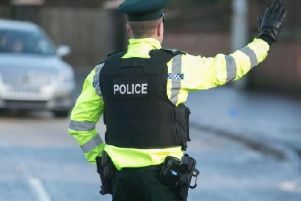 Police in Lurgan said they are appealing for information after a digger was set on fire on the Milltown Lane, on the outskirts of Maghery in the early hours of Saturday, March 3. Chief Inspector Jon Burrows said, “It was reported that shortly after 12:30am a digger was alight and destroyed at a building site on Milltown Lane. “Officers attended the scene along with NI Fire and Rescue Service who extinguished the blaze,” said Chief Inspector Burrows. “Anyone with information is asked to contact 101 quoting reference 43 of 03/03/18. “Or alternatively, information can also be provided to the independent charity Crimestoppers on 0800 555 111 which is 100% anonymous and gives people the power to speak up and stop crime,” said the police officer.